On this page we list some basic Chinese Food Ingredients, which should be present in your Chinese shelf and are used to prepare some of the most common Chinese Food Recipes. Most can be obtained at your local supermarket, look in the Asian or Ethnic Supplies section. 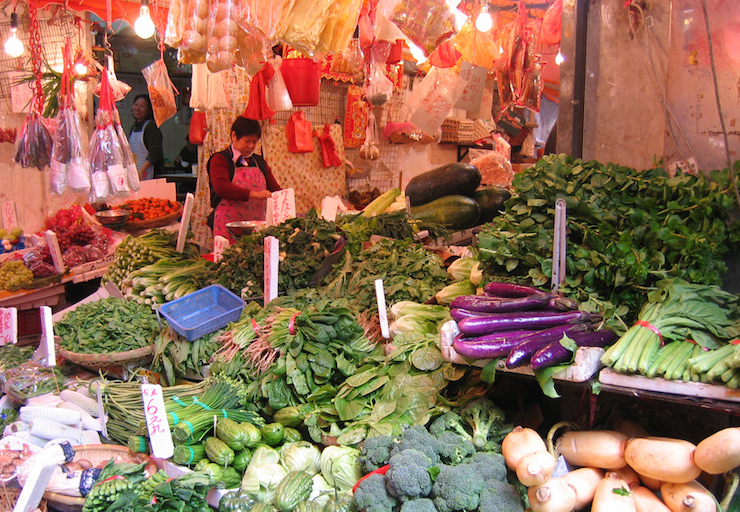 Others like the Chinese fresh vegetables can be found at the local Asian Grocer. Click here for a short introduction to the basic Chinese Food Ingredients and their evolution in Chinese Cooking. Garlic has been used in China for over 5,000 years. Not only in the kitchen but also in Chinese Traditional Medicine as it is considered to have medicinal properties. You will find that Garlic is used throughout Chinese cooking, one of the most common uses is with stir-fries. 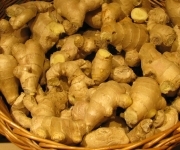 Ginger is along with garlic the most common Chinese Food ingredient used for flavoring. Ginger is popular with Cantonese dishes as well as the more spicy Szechuan recipes. Besides fresh ginger, you can also find it ground and pickled. 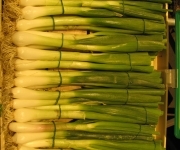 Green Onions or Spring Onions are used liberally either cooked to add flavor or raw as garnishings. A staple in most stir-fry dishes. Fresh Chilies can be added chopped, sliced, crushed or whole for that extra zing! There are many kinds of chilies, some are hotter than others. Also can be found dried and they are just as hot. 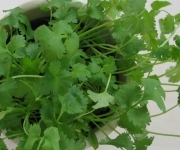 A very popular herb with a strong flavor, also known as Coriander. 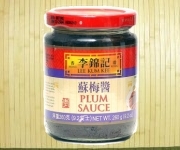 It is popular in Chinese cooking with sauces, soups, dim sums and as garnish. 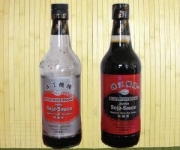 There is a light soy sauce and a dark soy sauce, make sure you use the kind your recipe calls for. We normally use the dark sauce for cooking and season meats. 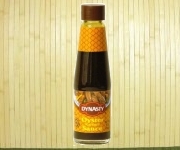 The light soy sauce can be served on the table for dipping spring rolls or dim sum for example. Oysters and soy sauce are the main ingredients. 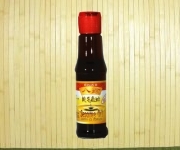 The brown sauce, although made from oysters, it doesn't have a strong fishy taste, its taste is rather mild and is used for cooking meats and vegetables and very popular in Cantonese dishes. There is also a "vegetarian" version made with mushrooms. Sesame Oil is a dark, aromatic and very flavorful ingredient. There are several kinds, the one used for Chinese cooking is usually heavier and darker and it is not used for frying but rather as a marinade, sprinkled at the end just for flavor, or added to dipping sauces. 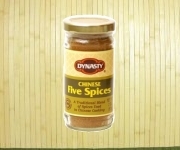 What is in Five Spice Powder? It is made of ground peppercorns, star anise, cloves, fennel and cinnamon and sometimes coriander seeds. It is a mix of flavors, from sweet to hot, fragrant, salty and pungent and used to condiment meats, fish, poultry and vegetables. 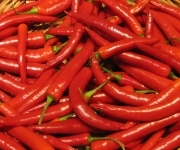 Made from chili peppers, it is used for dipping and stirfrying. Can be served on the table to sprinkle over food as desired. Made from chili peppers and soybeans, it's a staple in Szechuan and Hunan spicy dishes. Fragrant when cooked, a tiny bit goes a long way. Very popular for its strong smoky flavor. 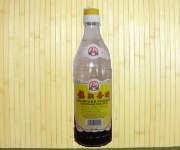 This dark rice vinegar is made of glutinous rice and can be added to soups, dipping sauces and braised dishes. This is a sweet and sour sauce usually served for dipping deep-fried foods: pieces of meat/duck/chicken, spring rolls, fried wontons, etc. Made of plums, sometimes also peaches, and vinegar, ginger and chilies. Made of fermented beans, garlic, peppers, vinegar and soy sauce. This flavorful sauce is added to stir-fries and steamed dishes. 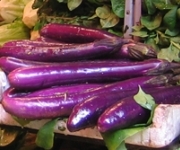 It is the same as regular eggplant but long and skinny. 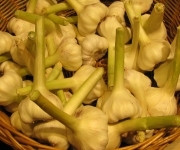 Used in stir-fries or steamed. One of our favorites is Spicy Beef with Eggplant in Garlic and Black Bean Sauce. If you can't find the long and skinny kind, regular eggplant does the job. 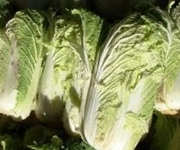 A leafy vegetable also known as snow cabagge, is very common and can be found at the supermarket. 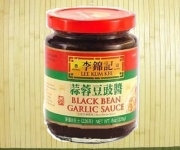 Great stir-fried with your choice of sauce and condiment, in salads or pickled. 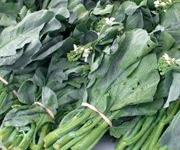 A green leafy vegetable from the kale and broccoli family, the taste is similar to broccoli, perhaps a bit sweeter. Very popular dish served stir-fried with garlic or steamed with oyster sauce. 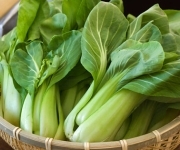 You can find Gai Lan at your local asian grocer. 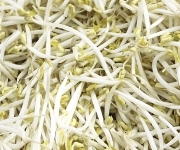 A common vegetable in Chinese cooking, soy bean sprouts are rich in vitamins A, B and C. They can be eaten raw in salads, also popular in stir-fried dishes. Sweet and crisp, don't overcook or they become soggy. 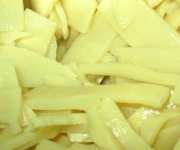 Very common in stir-fries, they are popular and easy to find at your local supermarket. They look more like carrots than the little round red radishes. 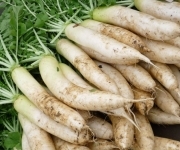 Rich in calcium and vitamin C, they are used in stir-fries, added to soups or in turnip cake. 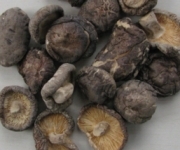 Chinese mushrooms have a somewhat stronger flavor and they need to be soaked in warm water for at least half an hour to soften them before use. Can be easily found canned or in jars in the asian/ethnic food aisle at your supermarket. They are very popular as an add on to stir-fries. 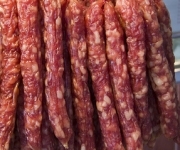 Chinese Sausages are made of pork and have a smoky, sweet taste. There are variations with chicken liver also available. 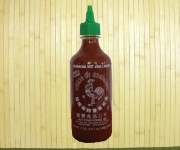 Great to add to fried noodles or rice. You find them also rolled and steamed in Dim Sums. Buy at your local Asian Grocer. 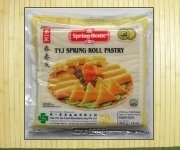 Spring Roll Wrappers used in Chinese cooking are normally made of wheat flour and water. Roll-in your filling, deep-fry them and serve with your favorite sauce. You can find them in the frozen food section at your store. 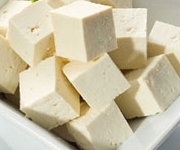 Tofu is made from soymilk and resembles the consistency of cheesecake. 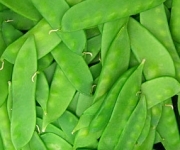 It is a very nutritious ingredient, rich in minerals and an excellent source of protein. It is served in soups, salads, stir-fried dishes. Mapo Tofu with the spicy sauce is our favorite. A basic of Chinese staples. Chinese love their noodles. 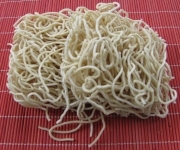 Wheat noodles are generally used in soups, wheat and egg noodles can be stir-fried. 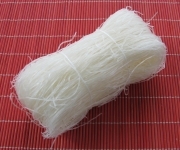 Thin and transparent, rice noodles should be soaked in hot water to soften them before use. They are used in soups, salads, stir-fries and spring rolls. While I was growing up, I can't remember a meal being served without rice. 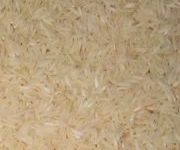 Rice is at the core of every Chinese meal. 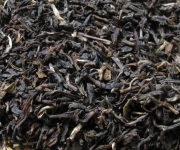 Chinese Tea is more than a beverage. For Chinese, tea is a medicine, tea is an art, tea is their Culture.